Ocean Watersports Crew has more experience than any other crew on the water. We care about you and the memories you make in Myrtle Beach, and our goal is to be the best part of your vacation. If any of us can be of service, please let us know. Have fun! 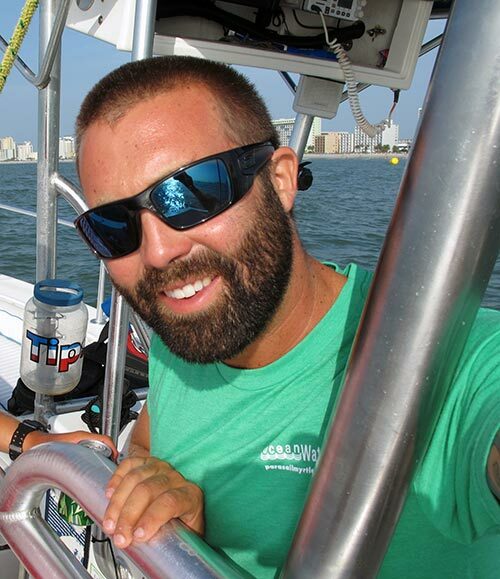 Captain David is the founder of Ocean Watersports. He has been entertaining Myrtle Beach visitors since 1981. Originally from Virginia, David attended the University of Virginia before transferring to Coastal Carolina University where he earned degrees in Accounting and Finance. David has been sailing and piloting a variety of craft on the Atlantic Ocean for over 35 years. He is one of the most experienced parasailers in the world. He genuinely appreciates your interest in Ocean Watersports and invites you to come see us whenever you can. Captain Ryan is a Myrtle Beach native. He obtained his Captain’s License in 2012, his Masters License in 2013 and has been working with us since 2014. Ryan is one of our top Jetski Pilots. He is a big help with the mechanical and maintenance crews and leads the PVC technicians in our inflatable division. Ryan is a talented musician and frequently sings with local bands if they’re not feuding over women and royalties. If you want to know where the best bands are playing during your stay, ask Captain Ryan. He will tell you, my friend. Captain Delanie was born into the watersports business in 1994. She obtained her Captain’s License in 2012, and was certified as a Master Captain in 2013. 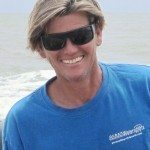 She has performed every job we have on the beach, but currently spends the majority of her time as First Mate on our parasail boats. 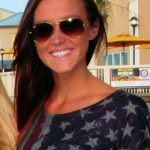 Delanie studied marine biology at Coastal Carolina University and graduated with honors in 2016. She went back and got her masters in teaching and teaches at one of the local high schools. On her days off, you can find her swimming with sharks in the ocean. 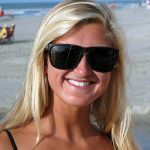 We are extremely proud of this young lady and we hope you get to meet her, helping most everywhere at Ocean Watersports for years to come. Captain Ethan is from South Africa and has been around water all his life. 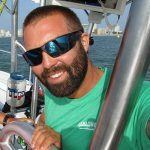 He has sailed around the tip of Africa on catamaran, is certified in CPR, and has attended several water survival programs. 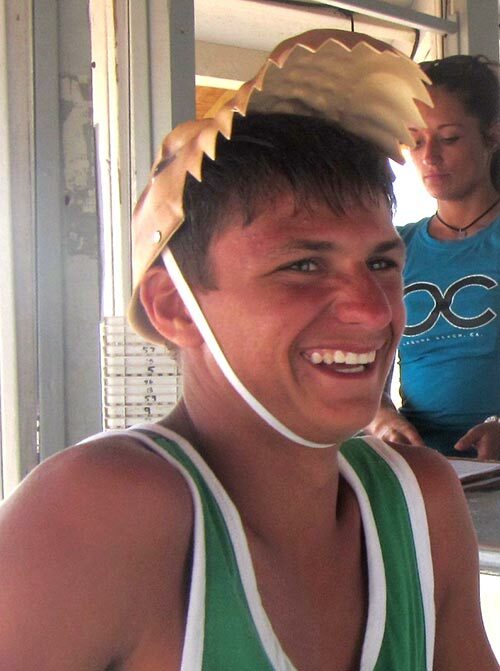 You will find Ethan shuttling customers back and forth to the parasail boats and giving awesome banana rides. He currently attends CCU and is a scratch golfer who is hoping to go pro in the next year. Captain Chuck is the Co-Owner of Ocean Watersports. He is originally from Marion, SC, about 45 minutes from the beach. He is a worthy sailor, master mechanic, and accomplished waterman who has made his living in and around the water since 1990. He obtained his Captain’s License in 1996. As our Operations Manager, Chuck has hands-on experience with every aspect of our business. If you have a good time at Ocean Watersports, Captain Chuck either makes sure it happens or has something to do with it; every, single day. Captain Hudson is originally from Virginia Beach. 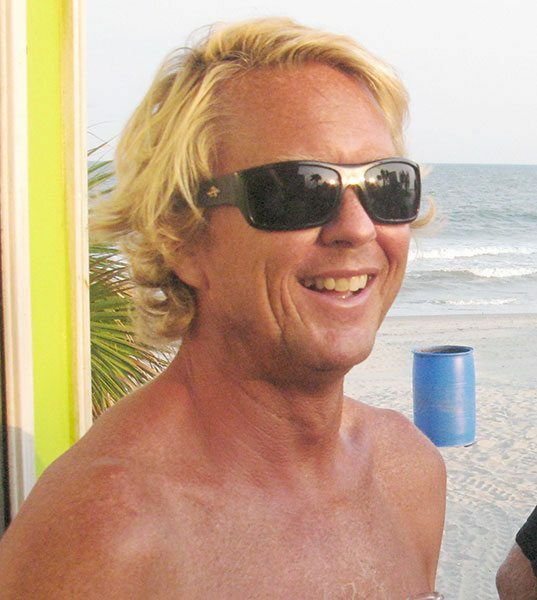 He calls Myrtle Beach home and is one of our top Parasail Captains. He gained his experience flying on NC’s Outer Banks and down in the Virgin Islands. He decided to return to mainland in 2015 and has been flying with us ever since. 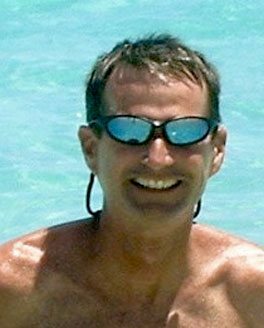 Hudson is an accomplished waterman, and a Master Captain, having piloted big tugs, power yachts, and snorkel boats on the eastern seaboard. He obtained his Masters License in 2011. Hudson enjoys riding motorcycles and exploring SC’s fascinating rivers and waterways. Look for Hudson on his boat, Freedom Flyer. 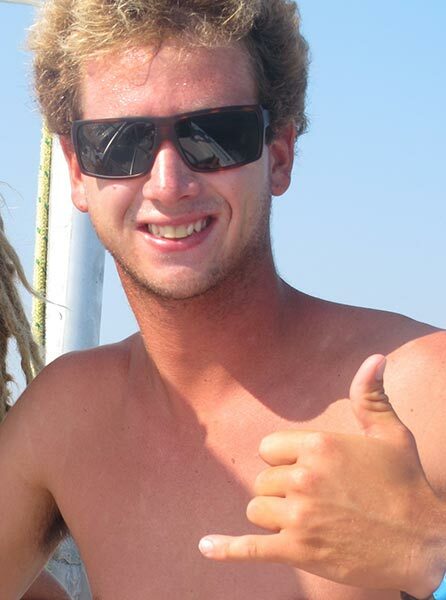 Captain Justin is an energetic Parasail Captain and Jet Ski Pilot who has been with us since 2010. He obtained his Captain’s License in 2011 and Master Captain’s in 2013. He is an accomplished waterman whose experience far exceeds his age. 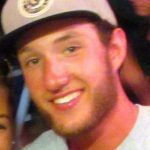 Justin is an accredited life saver, excellent surfer, experienced mechanic and an expert on the jet ski. On any day, he would rather be wet, in the water “working” than he would be on the beach or with his shoes on. We hope that Justin stays with us and our customers for many years to come. Captain Wright is a South Carolina native and has worked on the water nearly all of his life. 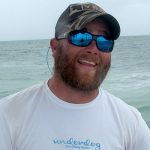 A Captain since 2012, Wright is an avid fisherman and a big game hunter. Wright is also a cracker-jack mechanic, an experienced welder, and a big help at the warehouse in the off season. He has a vast knowledge of tactical weaponry and explosives. He may not have run with the bulls yet, but we know he will someday if he puts his mind to it. Look for Wright on his boat, Eagle Eye, all summer long. 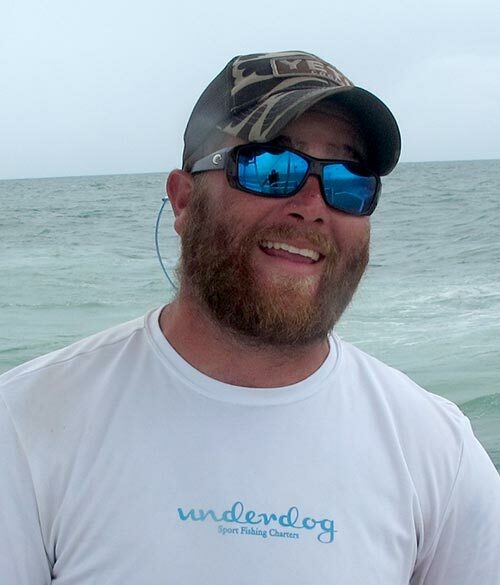 Captain Liam is a Myrtle Beach native and has been around the water all of his life. He obtained his Captain’s License in 2016 and pilots a jetski shuttle. Liam has been with us for six years. He graduated from Socastee High School and attends the College of Charleston, studying philosophy. Quite the ladies’ man, Liam enjoys ball room dancing and specializes in Salsa Dance. He likes hanging out at the Ice Bar when not bed-down at the hostel. 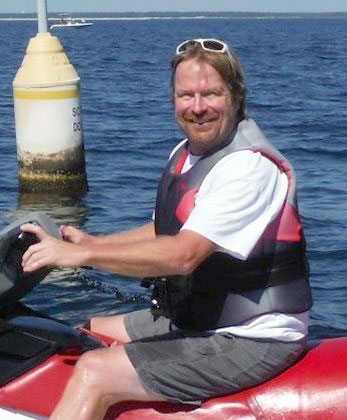 Jim has been with Ocean Watersports since 2009. He is responsible for sales and marketing efforts, and assists the team with daily operations. 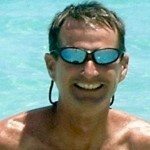 He has over 25 years of experience in operations and management and has lived around the water for about 20 years. He has experience as a First Mate, is a certified life saver, and holds a Coast Guard safety certificate. He is dedicated to serving our customers and helps hundreds of people every day. Contact Jim for Group Sales and special activities as well. Dan is our Master Mechanic. He makes sure that all of our jetskis, four wheelers, and everything under two tons is in tip top shape. 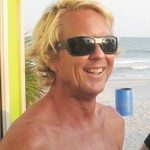 He is originally from Virginia and has lived on the Grand Strand since the 80’s. Dan is a proud veteran of the USAF. During his duties for our country, Dan worked on jet engines, radar, and weapons of destruction. After the Air Force, he pursued his passion for machines and is certified by Yamaha, Honda, SeaDoo, Kawasaki and Lamborghini. Dan generally stays at the warehouse, but we hope he makes it down to the beach more often. Brianna has been with us for years, first as our PFD expert and most recently in the picture department. She is extremely bright and graduated from the College of Charleston in with a degree in public health. She will continue her education and get a masters degree in environmental health. She is very active, enjoys traveling the world, yoga, snuggling with her dog, and spending time with her 14 brothers and sisters! If you’re a Clemson fan you may recognize Brianna, she was a Rally Cat for two years. “BK” will always be a headliner in our eyes. Tink is the nicest lady in Myrtle Beach. She is a school teacher at a local elementary school. Tink is not only a favorite with her students, but also a favorite among customers. Once a beach girl, always a beach girl though, Tink has been working on the beach in the summer since my kids can remember. She currently helps us in the picture department and with whatever else we need done. A truly delightful person, Tink will gladly help you with anything while you’re at Ocean Watersports. Tinsley has been part of our team since she was born. She is a favorite among the picture customers because of her sweet and helpful nature. She is a junior at Socastee High School. Tinsley is in National Honors Society and speaks fluent Spanish. She is very active in competitive dance as well as on her high school dance team. She has a love for sailing and you can always find her on a catamaran when she is not working. Pat is the hardest working young man on the beach. Pat has been around water his whole life. When you come down, find Pat and say hello, because he is a little shy when it comes to meeting the ladies. He currently attends NC state and has been on the dean list since his freshman year. He is majoring in business and he hopes to run his own watersports business when he graduates. He is an avid lacrosse player who was heavily recruited in high school. 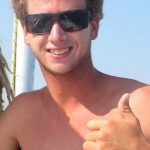 Austin is one of our first mates on the parasail boat. 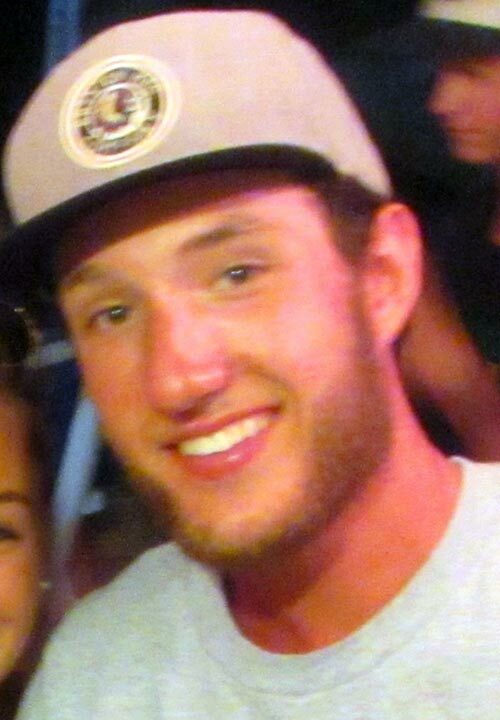 He is attends Coastal Carolina University and is a sports management major. He interns for CCU athlete department during the school year and with the Myrtle Beach Pelicans baseball team during the summer. So when you are out on the boat, be sure to smile when he takes your photo. 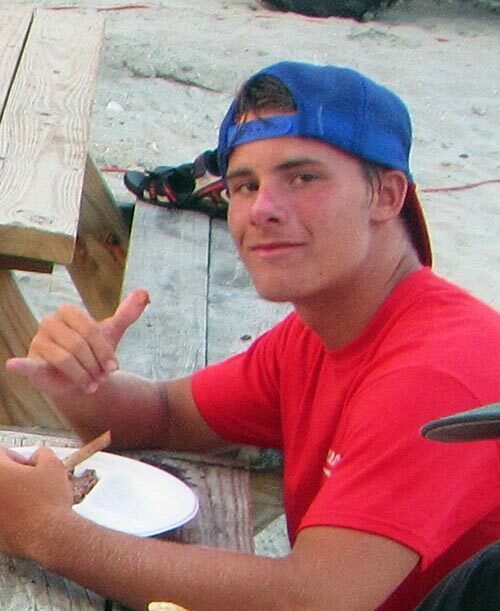 Kyle is one of our newest beach guys and one of the ladies favorites. He is an all-around gentleman who always has a smile on his face. He attends East Carolina and is majoring in risk management. He is excellent at finding sharks teeth on the beach. If you ask him nicely, he will find one for you. Willem works as one of the beach crew helping with jet skis and banana boats. He is extremely smart. He is in honors college at UNC Chapel Hill. He loves playing his banjo on the beach at sunset. Cam also works on the beach crew helping with jet ski instruction and helping push out banana boats. He attends Coastal Carolina and is majoring in business. So make sure to stop by and say hello to the newest beach guy. Tip from Cam: make sure you are in good physical shape before you walk in soft sand. Dylan is great guy who helps as a beach hand. Whether he is working with jet skis or bananas, he will always make sure everyone is safe. He attends Clemson University and is studying agriculture with a minor in neuroscience. He is excellent at doing handstands on the beach. A skill he learned while traveling with the circus. Ryan B is in his 2nd season working with the beach crew. Are you having a hard time keeping track of all the Ryan’s that work here? We call this guy “hot body Ryan”. He attends Clemson University and is majoring in tourism. Ryan is extra excited this year because he is finally tall enough to ride the wooden rollercoaster. Dale is a nice young lady that works hard to sign customers up and goes above and beyond to help customers. She currently attends Lander University and is majoring in Physical Therapy. She is an avid volleyball player with many awards. She is currently training to hopefully represent the USA in volleyball in the summer Olympics 2020. Ashlee is a sweet girl with a beautiful smile to greet you when you arrive to sign up for fun. She is hard working and has a great sense of humor. She currently attends Horry Georgetown Technical College and is in the National Honor Society. She is studying to become a horse veterinarian. On occasion you will find her helping the local wildlife, especially the jellyfish, get back in the water. Her hobbies include, horseback riding, eating, surfing and going to the beach every day. Owen is the newest addition to Ocean Watersports and is the youngest employee. He is a sweet boy that lights up everyone’s day. He has a love of water just like his parents. We love every day he spends with us. Kyleigh is the Best Beach Hand and assists the Beach Boss at the water’s edge. She has been with us since 2013 and is an integral part of beach operations, making sure all passengers aboard the appropriate craft according to the schedule. 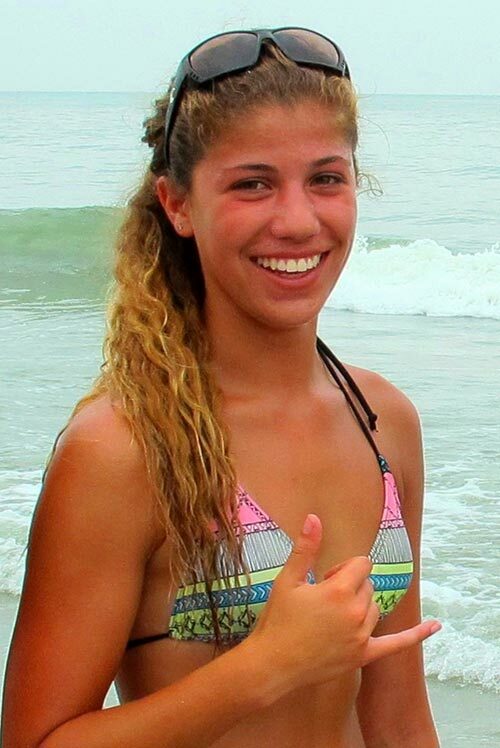 Kyleigh is an accomplished surfer and a leader on her track & field team, specializing in pole vault. She sports a positive attitude, radiant smile, and the best tan on the team. Few could argue Kyleigh is not best-fit as our Best Beach Hand. Tyler is an energetic local who graduated from Socastee High School. 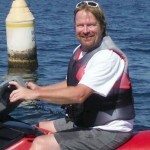 He is in his fourth season at OWS and helps manage the jet ski operation. Tyler wants to study pre-law at a four-year college in 2017. For now, he is content to work on the beach with us and moonlight as a on the road mechanic. We hope this young counselor helps us for many years to come. Lance is a nice young man with a can-do spirit that has been helping us for four seasons. 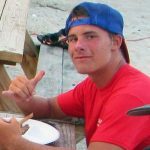 Lance generally works down the Jet Ski stand, giving lessons, getting customers on the ocean, and as part of the safety crew for the jet skis. He graduated from Socastee High School where he is was an accomplished wrestler. Someday he hopes to be an MMA fighter. In the meantime, he attends Coastal Carolina University and studies business. We hope he comes back to work with the boys of summer every year. Marla is an awesome lady that continually supports Ocean Watersports and everything we do. She has been in the support role since 1982 and became the executive manager of the photo booth in the 2012 season. Among the many titles Marla has earned include Incredible Mom, Excellent Wife, Best Photo Manager, Successful Entrepreneur, and Best Instructor, to mention a few. 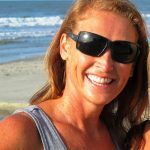 As long as there is a chute in the air or a banana on the water, Ms. Marla will be supporting our efforts at Ocean Watersports. And, we sincerely appreciate it. Jacob is back with us for a third season. He attends Socastee High School. He is our all-around expert. He has a natural talent for driving jet skis. His knowledge of jet skis in impeccable. He can take apart a jet ski and put it back together in under 24 hours. His expertise is in pulling hats out of the props of jet skis. Hannah has been with us for two seasons. You will see her in the sign up booth. 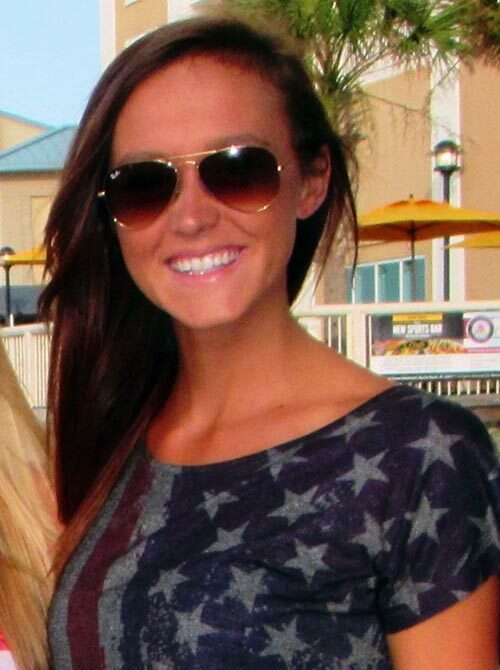 She recently graduated from CCU with a degree in marine science and she was a member of the Coastal dance team. 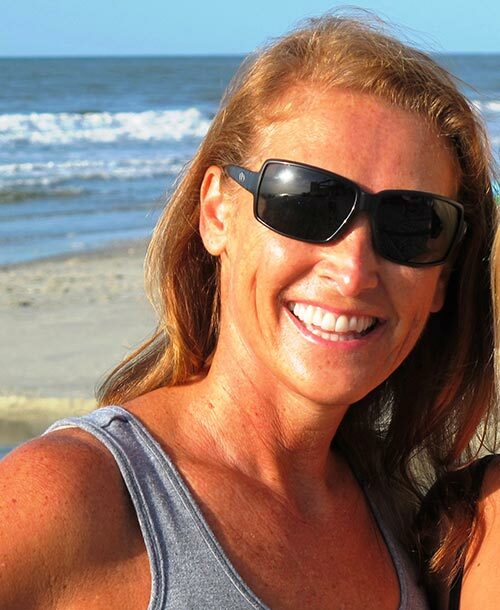 She is originally from Maryland but Myrtle Beach has her heart. She is our tallest booth girl who can reach more heights than any of us. She spent a summer training with the Rockettes in NYC. If you ask her nicely, she will show you her favorite routine. Kyle is a delightful young lady with a radiant smile. She helps us in our picture department and is a resourceful person to have around. She is currently a senior at Socastee High School. She is in the National Honors Society and speaks fluent Thai. She loves to dance and is on her high school dance team. On occasion she will break out and dance to her favorite song being played at the beach. Ryan is our all-around helpful beach hand. You will find him helping with jet skis or pushing out banana boats. He attends Coastal Carolina University and is majoring in animal science. He is our wildlife expert who has rescued many sea turtles from the ocean. He has also been known to wrangle a few sharks and help them back into the ocean. We always look forward to see what he will find each season. Mike is a Myrtle Beach native who has lived here all his life. You will find him out on the parasail boats as a first mate. Mike is a jack of all trades. If something needs fixing or built, he can do it. 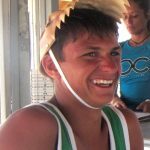 He has been a lifeguard for over 10 years and has attended many ocean survival training classes. We love having Mike on our team. Kelby is new to our team this year. A very sweet, quiet, young lady. She loves volunteering at the local homeless shelter and has been known to literally give someone the shirt off her back. 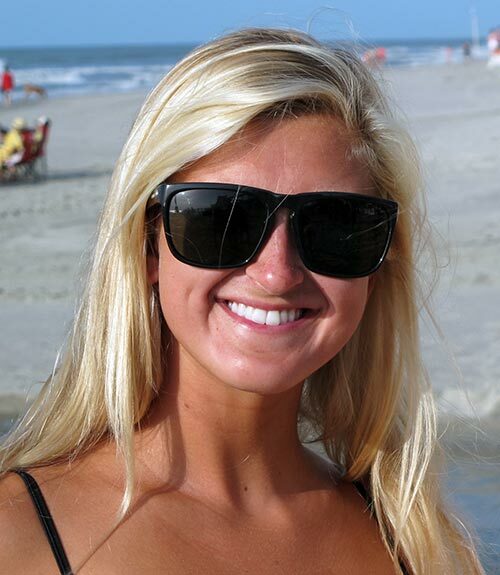 She currently attends Coastal Carolina University and is studying criminology. We are excited to welcome her this year. Sydney and Autumn are two sweet girls that joined our team this season. They will be ready to greet you when you sign you up for your adventure. They are experts at taking selfies, sizing you for a life jacket and will help you in any way they can. You can visit them at the sign up booth on the beach. Kasey is one of our awesome booth girls. Always smiling when signing people up. She is extremely helpful and kind to customers. She is a Junior at Socastee High School and would like to attend University of South Carolina when she graduates. Her favorite hobby is buying bathing suits and hanging out with her boyfriend. Andrew is our youngest beach crew member and is following in his dad’s, one of the owner’s, footsteps. You find him on the beach helping you on and off the banana boat. His favorite hobby is riding motocross competitively. 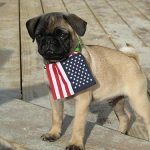 Gus is our resident pug. He was born in 2016 and spent his summer with us last year. He loves to run on the beach and act like a big dog. Gus was recently featured as the puppy of the puppy baby monkey fame. 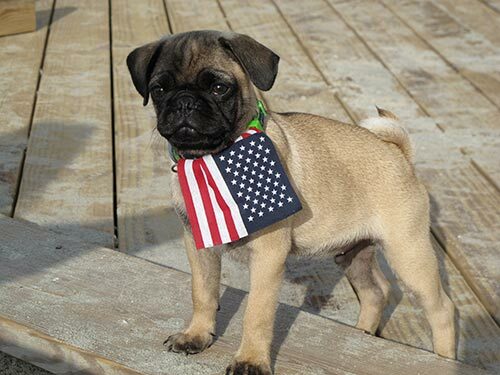 He may look regal, but he is a true American and a patriot. Come see Gus on most days that Brianna is working.